Our mission is to be the leader in the equipment and special event rental industry. We are committed to supplying our customers with convenient, dependable service provided by our well trained and knowledgeable staff. We believe in fostering a family atmosphere by building and maintaining meaningful relationships in our community. Brian started with the family business 38 years ago. He and his wife bought the company from his parents in 2012. 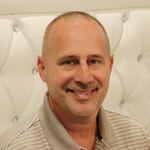 Brian’s hands-on approach has built personal and meaningful relationships with his clients and also his employees. His extensive knowledge and leadership skills have contributed to a significant growth in the company. Outside of Burns, Brian enjoys sports, cars, racing, and family time with his wife and three children. 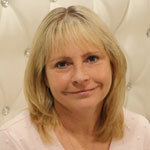 Amanda has been with Burns for over 20 years and enjoys working on the event side of the business. 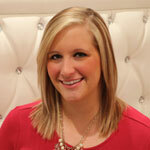 Amanda loves blending her creativity with new trends to bring her client’s vision to life. 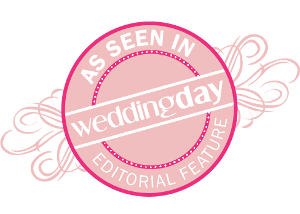 She especially enjoys planning events with "out of the box" themes and challenging spaces. She believes in developing and maintaining meaningful relationships with her employees as well as clients. Rachel has been with Burns Rent-Alls since 2012 and knows the ins and outs of both the Events and Tools & Equipment departments. Her main responsibilities consist of maintaining quality control of the rental inventory as well as the delivery and pick up process. 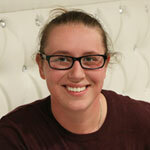 Rachel enjoys the many opportunities to train and motivate employees on a daily basis. 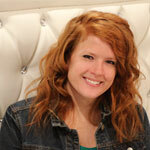 Molly discovered her passion for planning and designing events during her time at Indiana University. Since graduating in 2013 with a bachelor’s degree in event management, she has gained invaluable experience planning a wide range of events. From weddings and corporate events to baby showers and graduation parties, Molly loves any type of event and will help guide you through the whole process! With her can-do attitude and dedication to making every client’s event a success, no event is too big or too challenging. Lauren joined our special events team in 2014 and has a natural talent for planning events. 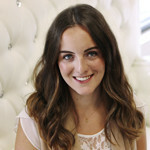 She has a youthful energy and her attention to detail (and obsession with glitter) makes her a great asset to our team. She believes in making the planning process fun and relaxed. 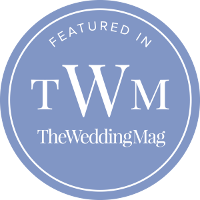 Lauren’s bachelor’s degree in communication helps her to create a close relationship with her clients, which she feels is the most important part of any event. She enjoys making everyone’s experience unique and unforgettable. Gina has worked at Burns Rent-Alls since 2006, and has enjoyed working in customer service for a total of 25 years. She wants everyone to feel that they are receiving excellent customer service no matter what their budget is. From planning to breakdown, your rental experience is important to her. Gina enjoys working with families, businesses, caterers, schools, churches, and non-profit organizations. She also helps organize annual fund raising events for the American Cancer Society, Ride for Kids, Center for Hospice, Sarah Strong Foundation, and the Juvenile Diabetes Foundation, to name a few. Kelsey is the newest addition to The Green Team! She graduated from Indiana University with a Bachelor Degree in Event Management. While Kelsey lived in Indianapolis she had the opportunity to work and gain experience planning events such as weddings, non-profit events, and corporate events. 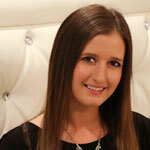 Her enthusiasm for event planning motivates her to create memorable and personalized events! Kayla was brought on to our team here at Burns in early 2016. She is a Purdue University graduate, where she studied Public Relations & Advertising, in addition to Art & Design. Her passion for design, photography, and visual communication is what lead her to us! You may see her out and about taking photos at events of our products to provide our clients with in-use inventory pictures to help them better plan their own events!